Can a marriage survive grief? It was a beautiful fall day. The temperature was perfect and only a few clouds hung suspended in the blue sky. We received three more phone calls from our son’s cellphone. First, he said he was back at the hotel and asked if we were going to bring something to eat. In the next call he said he was going out with friends. The third call was from his friend saying Barry had been shot and they needed to know what hospital to take him to. We drove so fast down U.S. 17 that we saw the ambulance and followed it all the way to Shands Hospital. Barry was whisked into surgery and we were ushered into a waiting room. Hours later a minister came and asked if we’d spoken to the doctor yet. We told him we hadn’t, and he left to go get him. Nobody likes those words at the beginning of a doctor’s statement. Barry and his girlfriend were robbed while walking to a friend’s apartment. They stole Barry’s cross and wanted to accost the young lady. When Barry stopped one robber, the other shot Barry in the chest. The bullet pierced an artery in the heart, and they couldn’t stop the bleeding. He died in the early morning hours of Monday, November 19, 2007. I was told by a couple of people that my wife and I wouldn’t survive the loss of a child. Not because they were being mean or spiteful, but because of what they’ve seen happen to others in our situation. And it is true, I’ve seen it also. There is no guaranteed survival after the loss of a child. There is work. You have to want to do this work. The hardest thing in life to do is bury a child. Your child. So if you work at it slowly, because it’s going to take time, you can make it through. 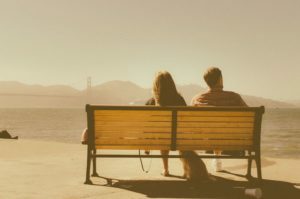 Burying a parent, you know you have to do that, and even your spouse. Life will not start over for you, and the majority of the people you meet won’t have a clue as to what you’re dealing with. Everything outside of you will exist as it is. Children will play in the park, people will still wave their fists in anger when someone cuts them off on the road, and you will survive. You will be a survivor. I can’t promise you that every day from here on out will be sunshine, and you wouldn’t want me to. I can tell you it will be hard, exhausting, and it will feel like it would be easier to go your separate ways. Love tests for your heart and soul multiplied by infinity. Stay in that love, and communicate. You are a survivor! Written by Barry Brooks, Barry’s 19-year-old son was murdered in 2007. 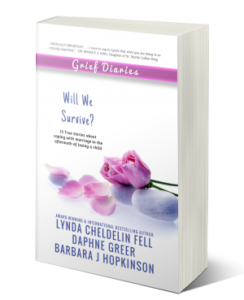 His full story is published in Grief Diaries: Will We Survive? Hi Sue-Anne. I’m sorry for the loss of your son. Below is the link to the book on Amazon. You can also buy it through Barnes & Nobles or any other bookseller. I hope it helps. Big hugs to you.